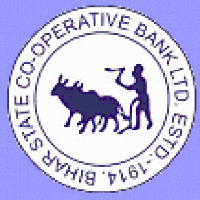 Bihar State Cooperative Bank Ltd has invited applicants as published in Free Job Alert for filling up the post of Assistant Manager and Assistant. Note: You must keep in mind that benefits of reservation will be given only to the permanent domiciles of Bihar. Age limit: Applicant must be of age 21-33 on 01-09-2018. For age relaxation and other information see notice here for assistant manager and here for assistant post. Application fee: 600/- INR + GST for (General/OBC/) category, 400/- INR + GST for (SC/ST/PwD) category. How to apply: Applicants can apply online by logging in on official website of bihar bank, fill all required details and pay application fee. Advertisement Details: Click here for assistant manager and here for assistant post.